The building complex is dedicated exclusively to the activities of the Escola Internacional del Camp - Salou (EIC), with a capacity to welcome 1,200 students. 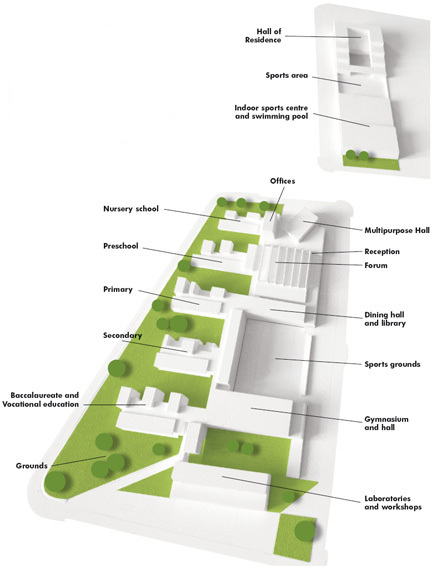 The Forum area is the meeting point of the school community. The gardens provide an ideal setting for learning about sustainability, the environment, discipline and developing a sense of responsibility. The extensive sports areas promote health and team work.